The Confederate flag has long represented an ongoing and sour debate in the United States. Many people in the country see the Confederate flag as a symbol of hatred and oppression, a representation of the Civil War in which the South took arms to defend the right to keep slaves. Others have claimed the flag and Confederate monuments represent nothing other than Southern pride, despite their murky history. In the wake of the deadly and violent white supremacist march in Charlottesville, VA, Six Flags, one of America’s most popular theme parks, has decided to make clear where they stand. 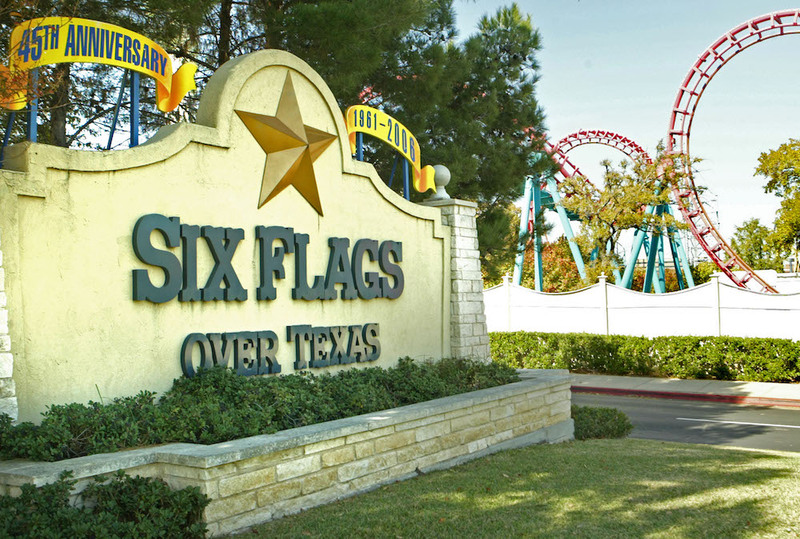 At Six Flags Over Texas, the six flags they flew were representative of the historic flags that had flown over Texas — including the Confederate flag. In a statement obtained by The Star-Telegram, Six Flags spokeswoman Sharon Parker announced Friday, August 18 that all flags other than the American flag — including those representing Spain, France, Mexico, the Republic of Texas and the Confederacy — would come down. “We always choose to focus on celebrating the things that unite us versus those that divide us,” said Parker. “As such, we have changed the flag displays in our parks to feature American flags." According to Parker, when “Six Flags Over Texas was being planned during the Eisenhower administration, the founders settled on six themed areas,” including the Confederate flag because of its “historical fact” in the area. But times have changed. Now, all Six Flags’ six flags are the classic stars and stripes. The change was made at the park in Arlington as well as Six Flags Fiesta Texas in San Antonio, Six Flags Over Georgia, and a park in St. Louis. The Confederate flag has flown above select Six Flag parks in the south since it first opened in 1961, The Star-Telegram reports. But when members of the alt-right, otherwise known as nazis and white nationalists, proudly flew the flag at what would become a deadly and violent march in Charlottesville, VA — all the while chanting “Jews will not replace us” and preaching about a need for another ethnic cleansing — the answer was clear. The core meaning of the Confederate’s symbols could no longer remain ignored. The announcement follows a week of anti-racist activists pressuring leaders to not only denounce the hate symbols, but to take them down, too. On Saturday, August 19, Charlottesville mayor Mike Signer announced he “changed his mind” about keeping up the statue of Confederate hero Robert E. Lee and voted to remove the statue from the park — the very action that white supremacists organized themselves to protest against. Other officials have already begun taking Confederate monuments and symbols down in their areas across the U.S. as well, including Baltimore leaders who removed four Confederate statues in the middle of the night. Six Flags isn’t the only business to take a stand either. Airbnb decided to ban neo-nazis from booking rooms in Charlottesville. I went to Six Flags Over Texas in Arlington many, many times as a kid. I always resented the Confederate flag. While there are naysayers, some Six Flag goers in the South do support the company’s decision. Though the fate of the rest of the Confederate statues and flags flying atop businesses and within spaces that all people of colors and creeds inhabit is still in question, one thing is clear: You definitely won’t find them on Six Flags’ grounds anymore.